NOVA Dental Studio (Falls Church) - Book Appointment Online! Welcome To NOVA Dental Studio! Thank you for visiting the home of Michael J. Paesani, DMD and his dedicated dental staff, located in the heart of historic Falls Church, Virginia. 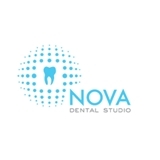 At NOVA Dental Studio, we are committed to exceptional, detail-oriented dental care. We specialize in providing general dentistry and cosmetic services for young professionals. Our practice provides fillings, implants, root canal therapy, crowns and bridges, veneers, and teeth whitening for your busy lifestyle. We look forward to meeting and serving you soon! All new patients at NOVA Dental Studio will be asked to secure their appointment with credit card information. I'm a Nervous Nelly when it comes to pain, and past experiences with crowns hadn't helped to alleviate my weenie-ness. Dr. Paesani went the extra mile to make sure I was comfortable, numb, and understood what was going on. The heated, massaging dentist chair helped, too! Shout out to Dana, who assisted Dr. Paesani with my crown re-do and provided him with excellent assistance, and me with just the right amount of chit-chat while she took a master craftsman's time getting the temporary crown just right. Thanks to all.